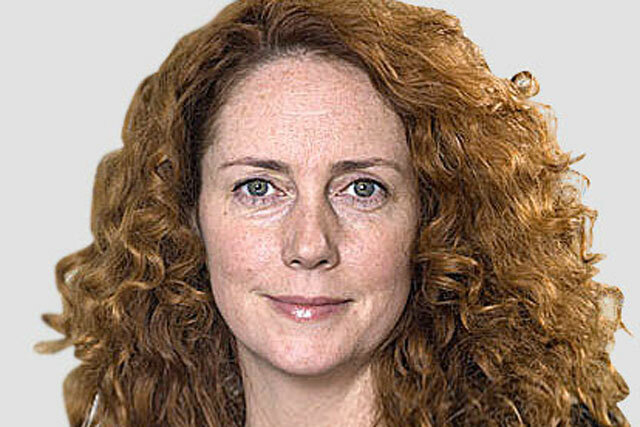 Rebekah Brooks, the former News International chief executive who resigned on Friday, was released on police bail late last night after being arrested and questioned over the phone hacking scandal engulfing the media company. Brooks was released at around midnight. She was questioned as part of the investigations by the Met Police into the interception of phone messages and payments to police. She has always maintained she had no knowledge of wrongdoing at the News of the World, when she edited the paper, and subsequently when she was chief executive of parent company News International. Brooks attended a London police station by appointment at midday yesterday and was arrested. A spokesman said on Sunday evening that she did not know she would be arrested after agreeing to meet police voluntarily. A spokesman for the Metropolitan Police said: "At 1200 hours, on Sunday 17 July, Operation Weeting [the investigation into phone hacking] and Operation Elveden [the investigation into payments to police] arrested a 43-year-old woman in connection to allegations about corruption and phone hacking. "She was arrested by appointment at a London police station on suspicion of conspiracy to intercept communication contrary to Section 1 (1) of the Criminal Law Act 1977 and on suspicion of corruption allegations contrary to Section 1 of the Prevention of Corruption Act 1906. At approximately midnight she was bailed to return late October." As Brooks was being questioned, the head of the Met Police, commissioner Sir Paul Stephenson, resigned from his post as a result of what he described as the "ongoing speculation and accusations relating to the Met's links with News International at a senior level". He is the first Non-News Corp individual to resign in connection with the allegations of phone hacking and payments to police. Sir Paul had come under increased scrutiny after it was revealed the Met had hired a former News International executive Neil Wallis, who was arrested last week in relation to the phone hacking scandal, as a communications consultant. Pressure mounted as it became known that Sir Paul accepted a stay at a health spa, following surgery to his leg earlier this year, that Wallis had also worked for. He denied strongly that there was any "impropriety" in his decision to stay at the spa and in his statement last night Sir Paul said his integrity was completely intact. He added: "I may wish we had done some things differently, but I will not lose sleep over my personal integrity." Brooks’ arrest and Sir Paul’s resignation capped a torrid weekend for News International, News Corp and its under fire executives, including Rupert and James Murdoch. On Friday, the chief executive of News Corp-owned Dow Jones, Les Hinton quit his role as he became caught up in the spiralling crisis. Hinton, a longstanding executive at the company, had run News International during the time phone hacking and payments to police are alleged to have taken place. He left the UK in 2007 to run the Wall Street Journal after Murdoch finally landed the prize newspaper. Rupert and James Murdoch, and Rebekah Brooks, are due to appear at a Commons Select Committee hearing to answer questions from MPs tomorrow, though there is now a question over whether Brooks will appear, and if she does, just how much she will be able to say following her own arrest.